Provide comfort for the family of Dwight Cashier with a meaningful gesture of sympathy. 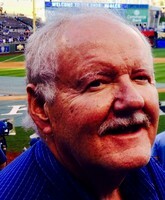 Dwight Allen Cashier, 67, of Platte City, Missouri, succumbed to Parkinson’s on March 29, 2019 surrounded by his family. Born October 8, 1951, in Merriam, Kansas, he was the son of the late Albert Joseph Cashier and Ava Carol Hoppes Cashier. A lifetime lover of music, Dwight received first in state in trumpet at Shawnee Mission North in 1969. He was of a member of the University of Kansas Marching Band and the KU Jazz Ensemble. He graduated KU with honors going on to earn a Doctorate of Medicine at the University of Kansas School of Medicine. He was a respected family physician, certified in Geriatric Medicine, and worked for 40 years in the field. He had practices in Platte City and Parkville and was the medical director at Alpine North. Having the heart of a servant and being a dedicated student of the Bible, he served in many roles at the United Methodist Church of Platte City, including on the Board of Trustees and as an adult Sunday School teacher. He loved to travel, exploring the United States National Parks and beyond. He famously cajoled his children into completing in hikes with him by saying that trails were “so easy that even a one legged man could do it,” only to actually encounter a one-legged man on a Zion National Park trail. Dwight was a huge Jayhawks and Royals fan, he loved to go to the Royals firework nights. He also hosted huge family get-togethers on the 4th of July, featuring big firework bonanzas. Light off fireworks in remembrance of Dwight. Visitation is scheduled for 5-7pm on Tuesday, April 2nd at Rollins Funeral Home in Platte City. The funeral will be held on Wednesday, April 3rd at 11am at the United Methodist Church of Platte City. Dwight is survived by his wife of 42 years, Joyce, and their three children, Susanne, Patricia and David, and one grandchild Jocelyn, brother John and sisters Julie Cashier Straughan of Hellam, Pennsylvania and Yvonne Cashier Brendecke of Tempe, Arizona, and 21 nieces and nephews. In lieu of flowers, memorial donations may be made to the United Methodist Church of Platte City or the Parkinson’s Foundation. 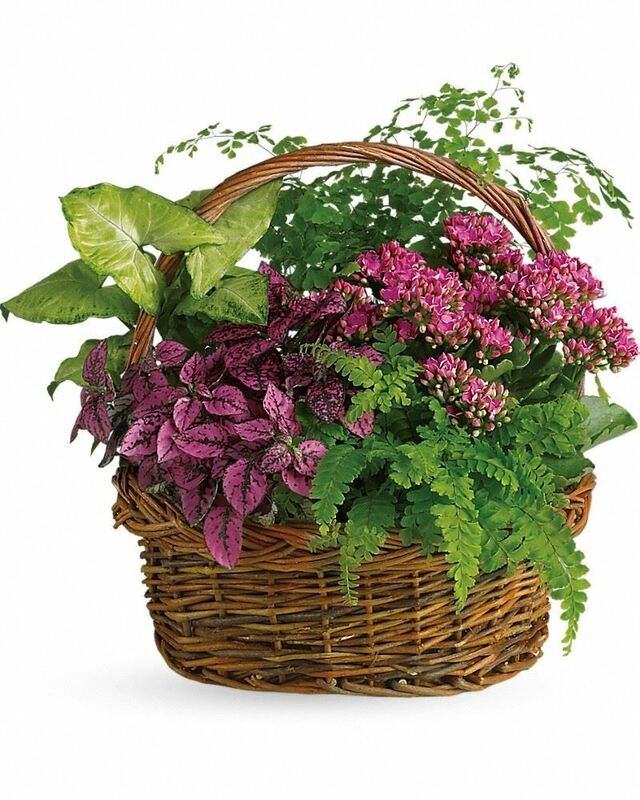 To send flowers in memory of Dwight Allen Cashier, please visit our Heartfelt Sympathies Store. We encourage you to share your most beloved memories of Dwight here, so that the family and other loved ones can always see it. You can upload cherished photographs, or share your favorite stories, and can even comment on those shared by others. Grant Dobson and Saint Luke's North Medical Staff have sent flowers to the family of Dwight Allen Cashier. Love this guy! Best doctor and friend ever. He was our doctor starting in 1992. Followed him from Parkville to St. Lukes. Always funny and he listened to you. He will be missed. So sorry for your loss. My husband, brother and I were all patients of Dr. Cashier for years at Parkville and St. Luke's North. He was the best doctor and the sweetest man -- always acted like he had all the time in the world to visit with his patients. He once told me that he came face to face with Paul McCartney in an elevator in KC during a concert tour, and I was touched by how excited he was by the encounter as I, too, am a big fan of Sir Paul. He always spoke so fondly of his family and I want to express my sincere sympathy for their loss. Heartfelt Sympathies Store purchased flowers for the family of Dwight Cashier. We are thinking of you all and hoping that memories of happier times will help ease your current grief. With much love from the Hoppes cousins. 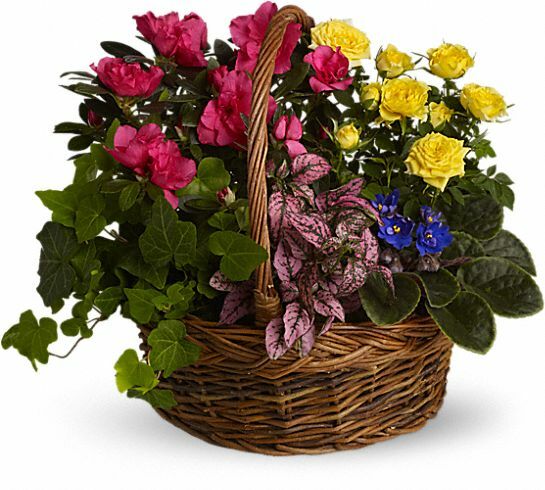 Heartfelt Sympathies Store purchased the Blooming Garden Basket for the family of Dwight Cashier.